Event WiFi can be an expensive hassle – shipping and installing equipment, technical crew costs. Relying on outdated and overloaded venue technology can seem like the only answer, especially for smaller events. Our plug-and-play technology is a total game changer. 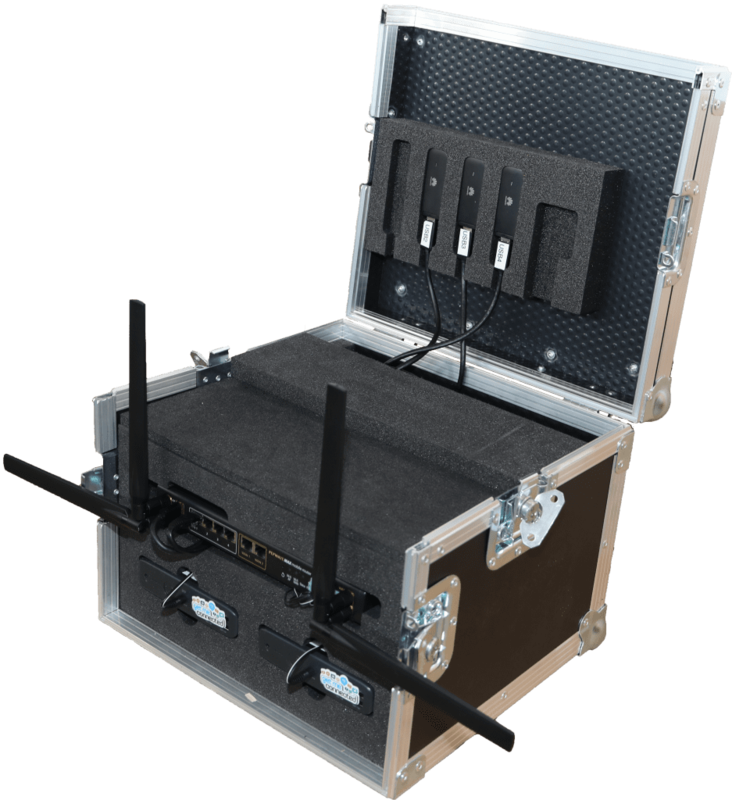 Packed into one flight case the size of a piece of carry-on luggage is all you need to be up and running with super-fast, rock solid WiFi in just minutes. Pre-configured with your WiFi Network details. Base version uses three internet connections from 3 ISPs giving you 150GB of usable data. We can add additional connections bonded through our own state-of-the-art data centre. Sent via courier and pickup organised at end of event. All you need to do is plug in the included eco charged batteries and you are ready to go!